We are thrilled to announce the launch of our brand new website! After a few of weeks of hard work and dedication (even weekends), we are excited to officially announce the launch! It’s been years since we last redesigned our site and thought it was time to give it a whirl. 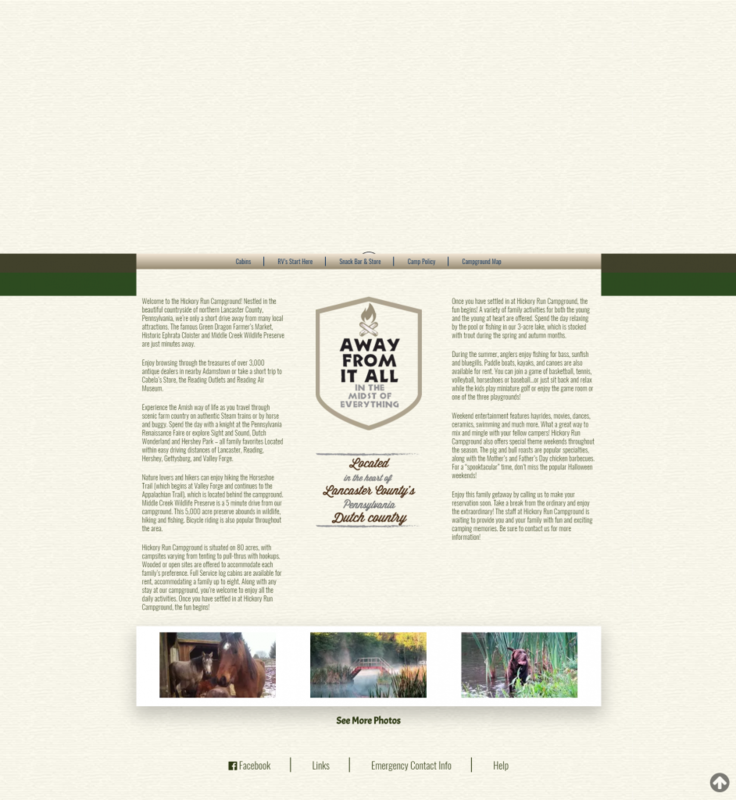 Our goal with this new website is to provide our visitors an easier way to learn about Hickory Run’s services and campsites and also to allow you, the visitors, to browse information easier. The new website is of course responsive, built on WordPress, and on Siteground’s Global CDN super-fast hosting! 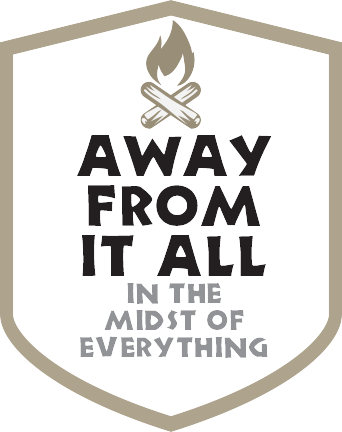 We have ramped up our all of our pages and navigation. Our current and prospective clients will find useful information about our services on the homepage of our website. We’ve also included some online reviews to help you get an idea what our existing regulars have to say. We will be constantly updating our content with helpful information, blogs, and events. We hope you like our new and improved website! Oh, and let’s not forget our favorite open-source fonts, Montserrat and Open Sans! 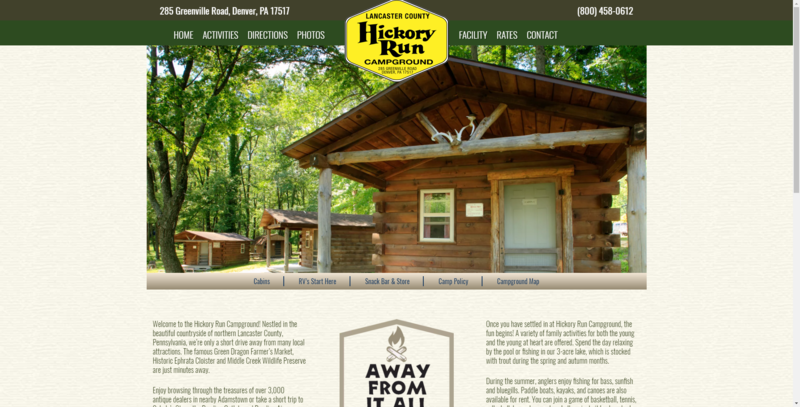 Here’s a look throughout the years of how the Hickory Run website has evolved into what it is today.